Born in San Juan, Puerto Rico, Francisco was raised in Central (the best!) Jersey, where he attended and graduated from Rutgers Business School. While he started his career at 14 making soda bread in an old Irish bakery, he refined his skills working for Bristol Myers Squibb, Deloitte & Touche and NBCUniversal, before joining Interpublic Group in 2015 as an auditor. 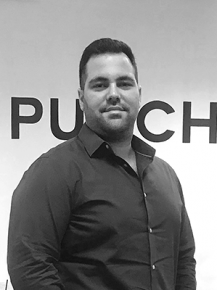 After auditing IPG agencies in over 15 countries, Francisco joined MullenLowe Group as the head of finance of the MullenLowe Vietnam office in September 2017. Outside of the office, he is passionate about traveling, scuba diving, martial arts, comedy, and cooking!